There’s no doubting the strength of our hardwearing Rubber Mats and their proven capability to significantly reduce wear and tear in your car. But they’re lightweight and very flexible too, and, because they’re custom-made, they will fit like no ‘one-size-fits-all product ever could. With a raised outer lip to retain any spills, they’ll do a fantastic job of keeping the interior of your vehicle in the best possible condition, while covering up any existing damage. 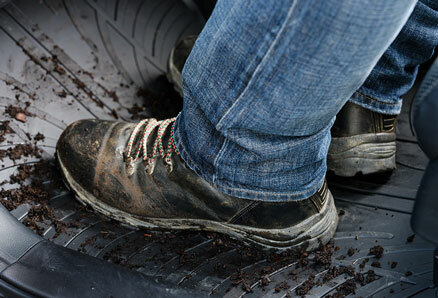 Travall Rubber Car Mats are made from hardwearing rubber compound that will last and last, without cracking or fading. They've been designed and manufactured specifically for the vehicle you drive, so you can be certain of the best possible fit from a premium-quality product that is far superior to any of the cheaper 'universal' style mats. 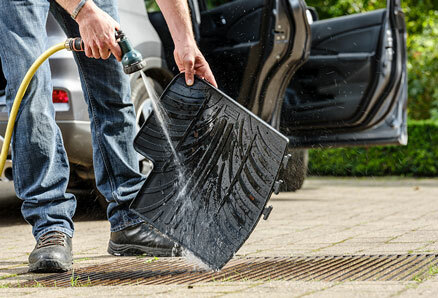 From muddy boots to spilt soft drinks, dirty rainwater to winter road salt, they offer perfect protection from the many things which could potentially ruin your car's interior. They'll also do a great job of hiding any wear and tear that's already there, as well as bringing about a noticeable reduction in road noise. 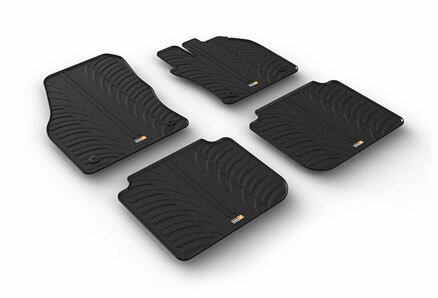 Although extremely tough, our custom-made Rubber Car Mats are lightweight and very flexible. Which is why they're also very simple to install. And they are just as easy to remove when the time comes to clean them, which can be done with just a quick rinse. 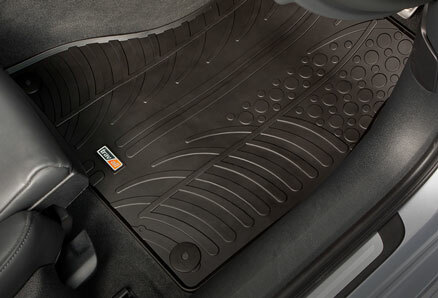 All of our vehicle-specific rubber car mats have a unique and stylish tyre-tread pattern, plus a raised outer edge cleverly designed to safely contain any dirt or spills. They come as full set of both front and rear mats, and have been infused with the attractive and long-lasting scent of vanilla. We know that loose, ill-fitting car mats can be potentially hazardous when driving. So we've made sure ours will always stay firmly in place. That's because they are supplied with fixings which align perfectly with the existing anchor points in your car. Just another advantage of them having been custom made to the exact specifications of your make and model. 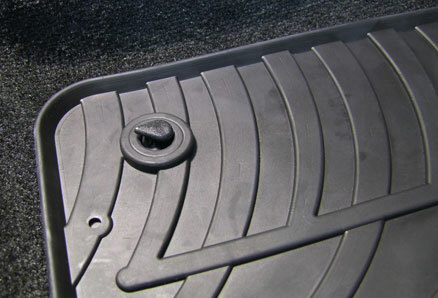 Travall mats for vehicles without anchor points have strong rubber grips on the bottom to prevent any movement.